Invasive Species in Natural Communities Further Reading diversity-resistance hypothesis - Communities with high levels of diversity are less invaded by exotic species. 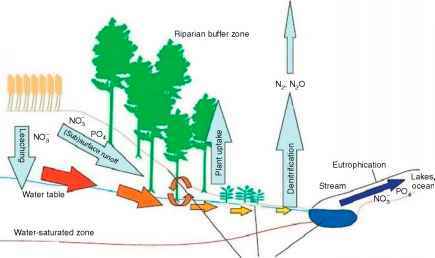 ecosystem function/service - Major processes and their interplay within ecosystems, including primary and secondary production, decomposition, mineral cycling, and energy transfer. In the social sciences, ecosystem service is a nearly equivalent term for ecosystem function, particularly as used to describe functions of ecosystems as they affect humans, for example, production as food support for wildlife or humans and biomass as a buffer from storm damage. enemy release hypothesis - Invaders escape their traditional predators in a new geographical area, and are therefore at an advantage to native species. exotic species - A species growing outside of its native range. introgressive hybridization - the introduction of genes novel to the species (or type) by either by inter- or intra-specific hybridization. Introgressive hybridization of an invasive species with native or non-native species could create new genotypes of the invasive species. invasive species - Aggressive alien species native to another continent. pangea - Single 'supercontinent' present during the Triassic Period before present-day continents began to drift apart. In the context of invasive species, the New Pangea refers to the state produced by higher levels of species migration supported as modern day humans travel more freely between continents. resource-enrichment hypothesis/fluctuating resources hypothesis - Communities are more invaded by exotics if amounts of unused resources within the community are higher. transgenic weeds - Genetic modified (GM) types with genes from both wild and agricultural sources, which escape into either fields or natural habitats. Potentially modified traits include genes for drought tolerance, resistance to herbicides, and resistances to herbivores.